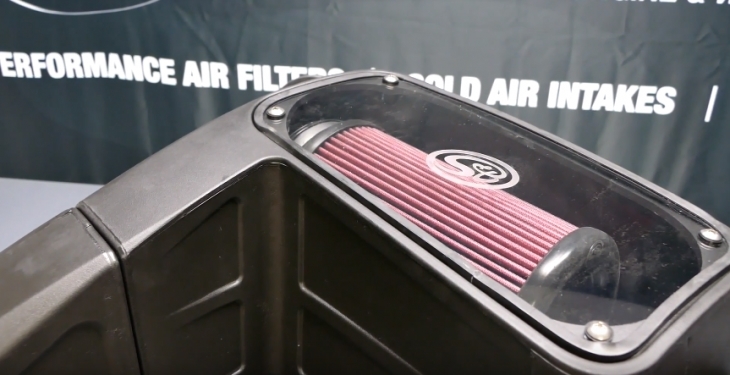 Best Air Filter for 7.3 Powerstroke Reviews: Top-5 in April 2019! 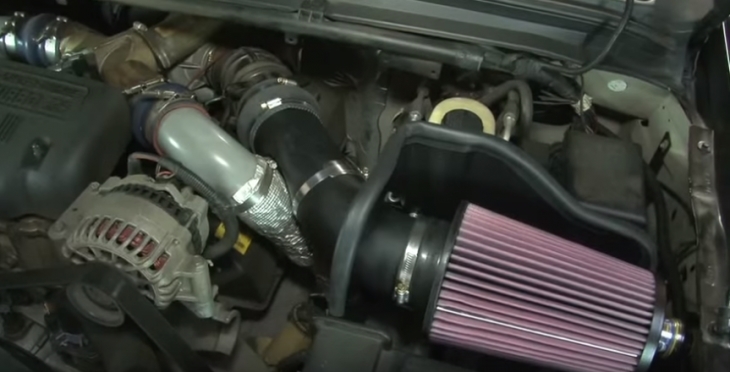 Air Filters for 7.3 Powerstroke – Buyer’s Guide! The Power Stroke engine is a Ford family of diesel engines that made their appearance in 1994. These engines were originally designed to sit in the Ford F-series of super duty trucks, and also included applications in the Ford E-Series, Excursion, and LCF commercial truck, as well as the South American Ford Ranger. The Powerstroke V8 started out as a Navistar engine rebranded for Ford. This family started out with the Navistar T444E turbo-diesel V8 that was rebranded the Power Stroke V8. This engine was phased out in 2003 since it was not capable of meeting the stringent new emission requirements. Until that date, around 2 million 7.3L DI Power Stroke engines were fabricated. In 2010 Ford severed the line with Navistar and produced its own Power Stroke engines. 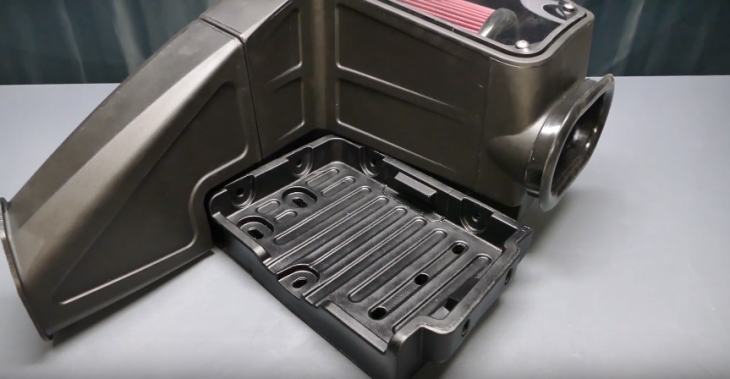 Today, the aftermarket covers every possible component for air filter replacement, and the Power Stroke is lucky to have a virtually unlimited supply of quality brands for every application. Now let’s take a look at the five best air filters for 7.3 Power Stoke engines. The Motorcraft® Air Filter Kit is an exceptional replacement aftermarket kit for your truck and comes with military grade filter materials for optimized performance in critical air conditions. The Motorcraft severe-duty air induction kit is designed for heavy-duty wear. This model comes with military grade filter media that is used in the M1 Abrams tank air filter units. This means they are designed for combat-ready conditions where the air can be anything outside, but only clean entering the engine. The engineering structure of the filter unit expands the surface are to over 16 times that of comparable washable filter units, and over 3 times the surface area of a standard paper filter unit. As such, its no wonder that Ford has authorized these kits as the only extended life filter kits approved for use on Power Stroke engines. If you are into a lot of dusty hauling and driving, you need an air filter that can handle the stress and strain of such conditions. Its hard to beat the Motorcraft model, and for this type of application, it is the best there is on the market. 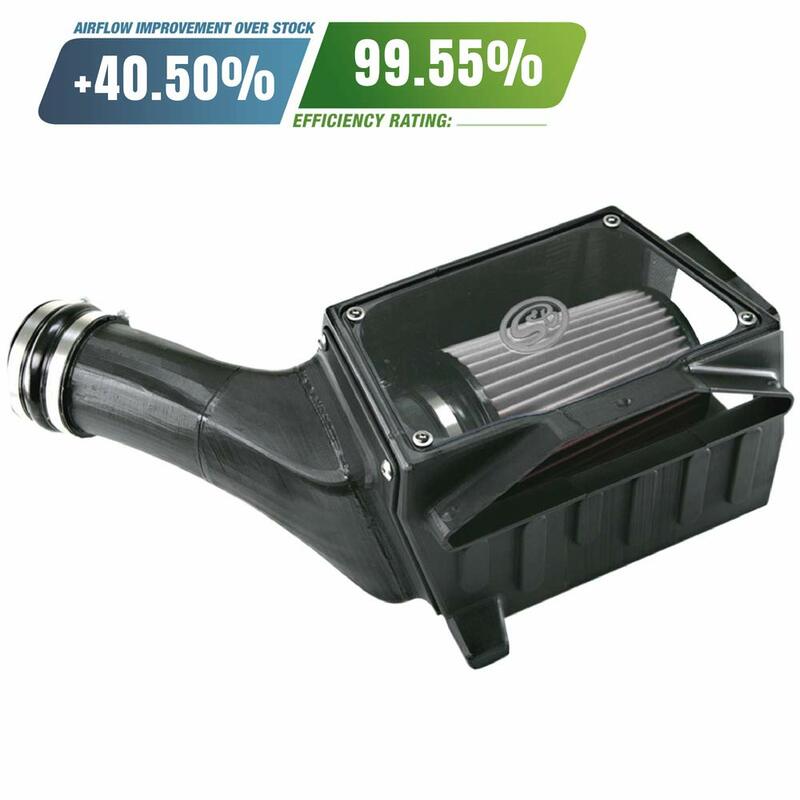 The S&B® 75-5062D Black Plastic Cold Air Intake System comes with a Disposable Dry Filter and is a perfect slight improvement over a stock replacement part. The S&B white filter kit is considered to be an excellent aftermarket cold air intake kit for all 1998-2003 Power Stroke applications. This model uses the S&B Dry Disposable # KF-1059D Replacement Filter that delivers a 53.66% improvement in the airflow rating, and an over efficiency rating of 99.37%. This means that these filters will improve your engine’s performance and not be a strain on your pocket. The overall design is a simple easy to install kit, it delivers constant performance and is manufactured from thermal resistant plastics with high-quality replaceable filters. This is a great S&B kit for your 1998-2003 Power Stroke engines. Its priced easy and delivers great low maintenance level performance all year round. 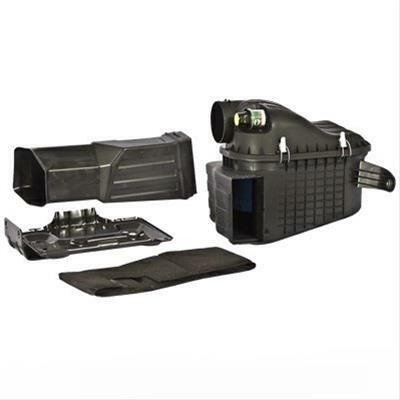 The S&B® 75-5027D Black Plastic Cold Air Intake System comes with a Disposable Dry Filter and is a perfect slight improvement over a stock replacement part. The S&B white filter kit is considered to be an excellent aftermarket cold air intake kit for all 1994-1997 Power Stroke applications. This model uses the S&B Dry Disposable # KF-1041D Replacement Filter that delivers a 40.5% improvement in the airflow rating, and an over efficiency rating of 99.41%. This means that these filters will improve your engine’s performance and not be a strain on your pocket. This is a great S&B kit for your 1994-1997 Power Stroke engines. Its priced easy and delivers great low maintenance level performance all year round. 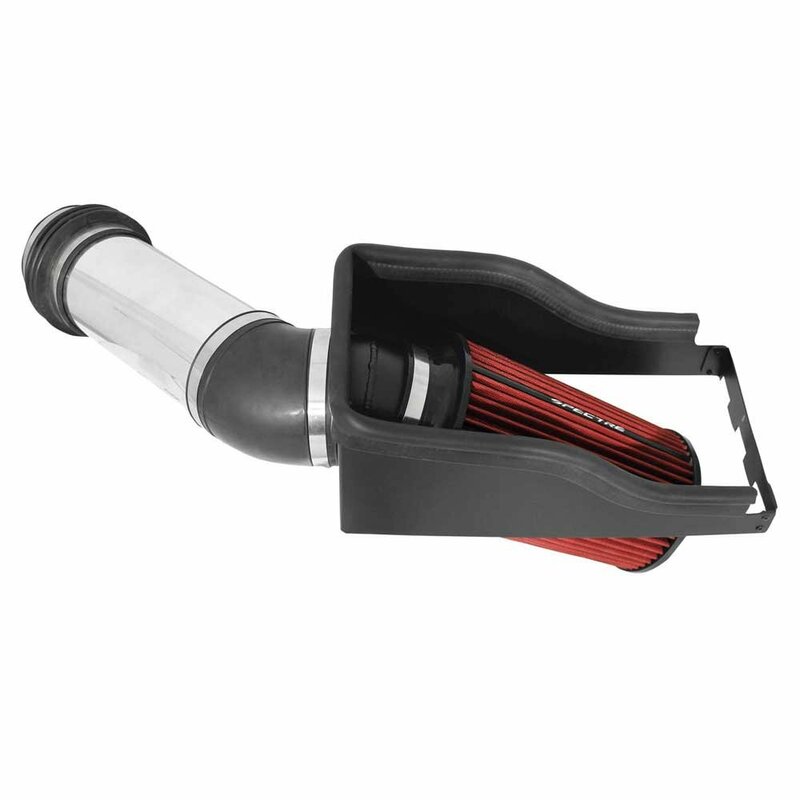 The Spectre 9922 is a performance air intake kit for Ford Super Duty 7.3L diesel trucks from 1999 and newer models. 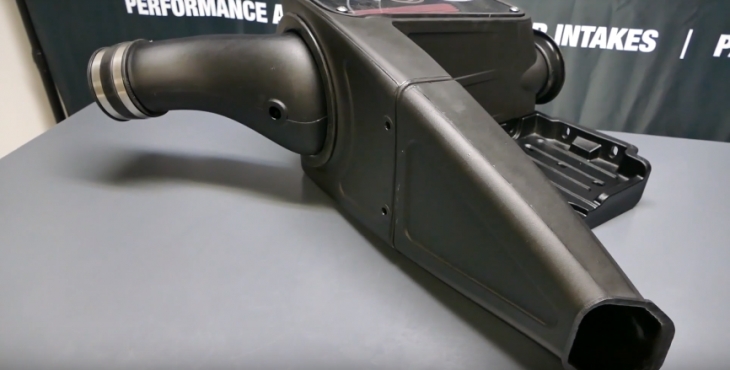 This Spectre air intake system is specifically designed to improve overall performance on any Power Stroke application that is younger than Dec 7, 1998. This model comes with a red Spectre reusable low air filter and comes with high quality polished aluminum alloy tubing that is coated with a black powder heat shield. The heat shield is a bespoke component designed specifically for the Ford Super Duty engine bay. This heat shield prevents the engines hot air from entering the filter kits intake inlet. As a performance model, this kit is designed to increase power and torque; you might consider checking your outputs with a tuner/programmer and tweaking with the appropriate tune. An amazing performance kit that is designed to deliver peak power performance in most Power Stroke applications, and since its good for any model starting January 1999, it means you have 19 years of models to choose from. 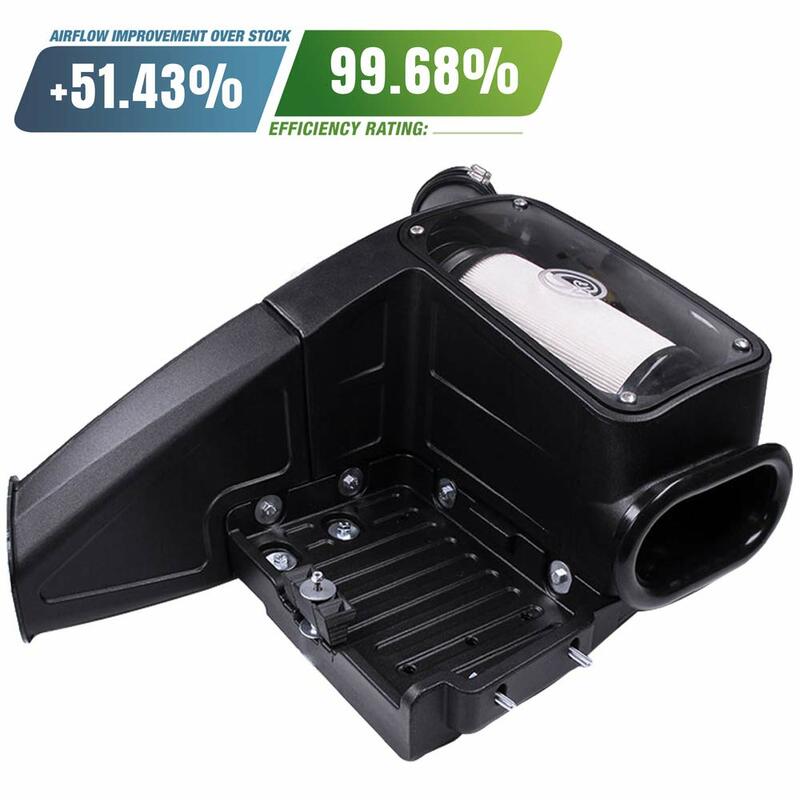 This is the K&N® 57 Series FIPK Generation II High-Density Polyethylene Black Cold Air Intake System for 1999 and younger Ford F-350 Super Duty models. 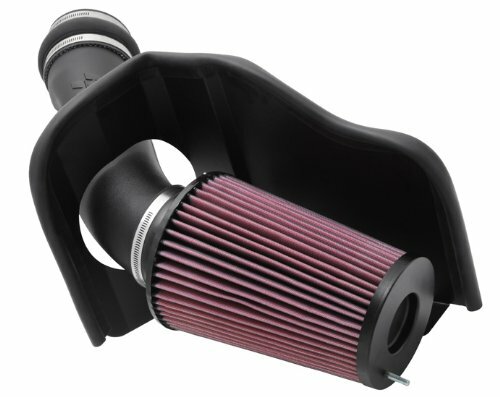 This amazing K&N filter comes with a performance Intake Pipe and Heat Shield that is designed specifically to improve overall performance and power. This model is designed to increase and improve airflow, as well as maintain a cleaner quality of air with its filter. The intake tube is made from a precision molded high density interlaced Polyethylene, that is designed to reduce turbulence and accelerate the air flow to the to and from the filter. This Polyethylene compound delivers similar thermal attributes as do metal tubes, and as such, they act in perfect harmony with the heat shield to reduce the overall temperature to a minimum. The overall result in this system is a denser air intake charge that ramps up the horsepower and boosts up the torque. 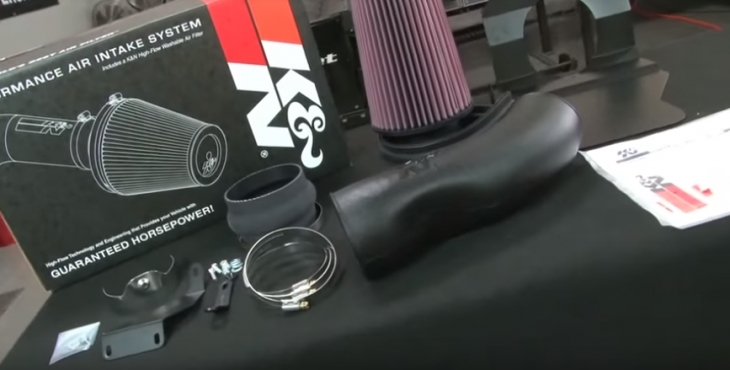 When it comes to performance parts, K&N is a leader in the field, and this cold air intake is one of their proud products. It does improve your trucks performance, and the filter lasts longer, requiring fewer cleaning stops.